Manchester United produced one of the most stunning comebacks in Premier League history to defeat rivals Manchester City 3-2 on Sunday. 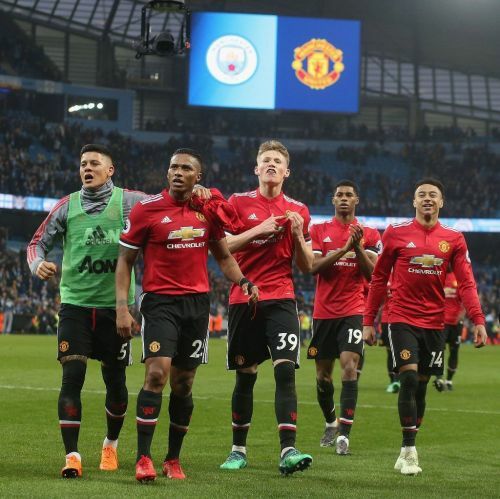 The Red Devils started the game poorly and were put to the sword by a ruthless Man City side that played with Raheem Sterling as a false striker. Pep Guardiola’s side dominated the early exchanges and rightly took the lead through captain Vincent Kompany who rose unmarked to head home from a corner. The Cityzens doubled their lead five minutes later as Ilkay Gundogan turned Nemanja Matic inside-out before firing a low shot past David de Gea. However, there was still time for drama as Man United came out of the second half all guns blazing, with two goals in quick succession from Paul Pogba drawing them level, before a Chris Smalling tap-in sealed an incredible 3-2 comeback win. Below are five key stats from the game. 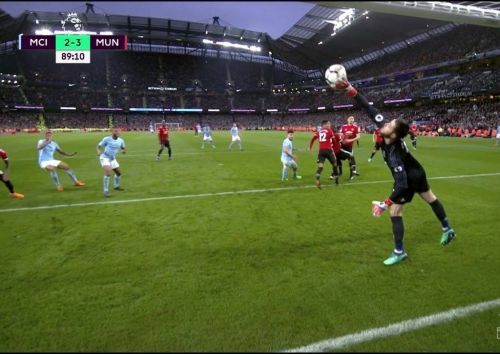 Manchester United goalkeeper David de Gea was once again in imperious form as the Red Devils came back from behind to defeat Manchester City 3-2. David De Gea has now made 101 saves in the Premier League this season. The Spanish international was powerless to stop Pep Guardiola’s side from scoring two goals in the first half, but returned strongly to make a save-of-the-season contender when he denied Sergio Aguero’s goal bound header towards the end of the game. De Gea’s exploits have seen him now reach 101 saves in the Premier League for this season. There is no doubt that the 27-year-old is the best goalkeeper in the Premier League, and arguably the best shot-stopper in the world.